Buying and selling property sounds like it should be one of the more straight forward processes in life ie. you exchange a sum of money for the property you have expressed interest in. However, big purchases should not be taken lightly and you need to be sure that the property you are buying is worth the price you are paying and that it is in an agreeable condition before your name is formally transferred onto the deeds. As one of the most experienced conveyancing solicitors in Sheerness and the Isle of Sheppey, Ratcliffes has helped local residents with the sale and purchase of property since 1997. We will effectively handle the entire selling and purchasing process on your behalf, allowing you to sit back and feel stress-free. Someone not experienced or without prior knowledge of what to look out for could miss a vital piece of information. Property searches are a significant part of the conveyancing process and require a great level of attention to detail as they are used to uncover any potential planning, structural or environmental issues within the property before you formally take ownership of it. 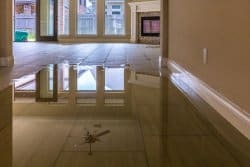 The consequences of missing a significant issue can be devastating, you could find yourself having bought a property with a history of flooding or one next to a planned local authority development. Unlike a legal professional who has professional liability insurance, individuals without this are 100% liable for any eventualities. Legal definitions can be a tiresome thing to contend with for the average person. Most conveyancing specialists have trained and carried out checks, document preparation and other conveyancing tasks on a daily basis for years and have a high level of understanding and fluency when it comes to legal terms and contractual definitions. If you are looking for conveyancing specialist in Sheerness then you can be sure that Ratcliffes can save you a lot of time and effort whilst guaranteeing a thorough and smooth service. Unfortunately, the majority of mortgage lenders will not let accept DIY conveyancing if you are buying a property. If you plan to buy mortgage-free, it is a different story as your investment alone is liable for any risk. 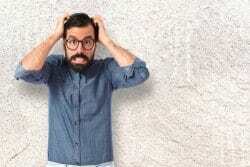 Mortgage lenders by nature are looking to reduce risk which is why they insist on thorough surveys, inspections and examinations of a property before they lend out the money to those buying it. The last thing that a lender wants is to loan out a sum of money for a property that is not worth that amount due to structural or environmental issues. 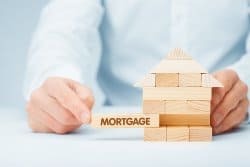 By insisting on using a professional conveyancer, lenders are essentially minimising the chance of any major issues being missed that may cause risk to their investment. Selling a house can be complicated which is why we take pride in offering a smooth, easy and straightforward service for all clients looking for conveyancing solicitors in Sheerness, Sittingbourne and Rainham. We charge a flat fee for our conveyancing services so you can benefit from peace of mind safe in the knowledge that your legal costs will not spiral out of control.